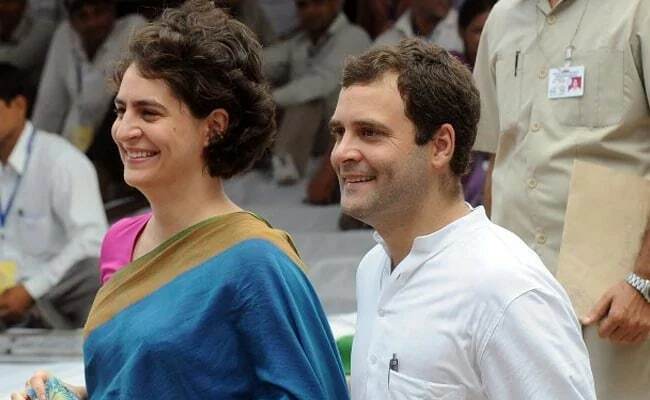 Priyanka Gandhi Vadra, the sister of Congress president Rahul Gandhi, has finally taken the plunge into politics, just months ahead of the national election due by May. She may contest the Lok Sabha elections from her mother Sonia Gandhi's constituency, Raebareli, Congress sources have said. Often dubbed the "Brahmastra" or the mythical ultimate weapon of the Congress, Priyanka Gandhi Vadra will debut as the party's general secretary in charge of the eastern part of Uttar Pradesh, which pitches her against the ruling BJP's top two mascots, Prime Minister Narendra Modi - whose constituency Varanasi will be in her share - and Chief Minister Yogi Adityanath. "I have not sent Priyanka and Jyotiraditya for just two months. I have sent them to take the Congress' ideology forward in Uttar Pradesh," Rahul Gandhi told reporters. Sources say her appointment to a key position reflects the Congress's realisation that in a politically vital state like Uttar Pradesh, which has 80 parliamentary seats and is considered the route to power at the centre, the party needs to up its game and cannot afford just one in-charge. It is a huge gamble for the Congress, a sign that the party is all for aggressively taking on PM Modi and the BJP in the coming election. Rahul Gandhi commented that the BJP was "panicking". Priyanka Gandhi was always active in decision-making and played a key role in the alliance with Akhilesh Yadav's Samajwadi Party in the 2017 Uttar Pradesh election. She also reportedly oversaw the party meeting in which her older brother was crowned Congress president. The BJP shrugged off the Congress announcement. "Rahul Gandhi failed so they need Priyanka as a crutch. Can't they find anyone beyond that family?" sneered BJP spokesperson Sambit Patra.